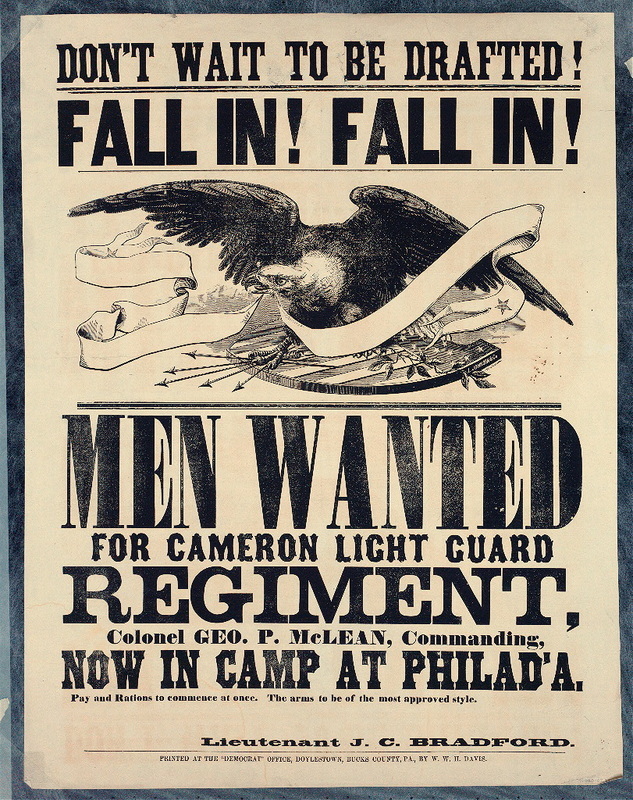 Beginning on August 9, 1861, Colonel George McLean, formerly of the 22d Pennsylvania Volunteer Infantry (PVI), recruits volunteers from the Philadelphia and Berks County areas to form a regiment to be known as the Cameron Guards. The regiment is named after the current Secretary of War, the Honorable Simon Cameron. 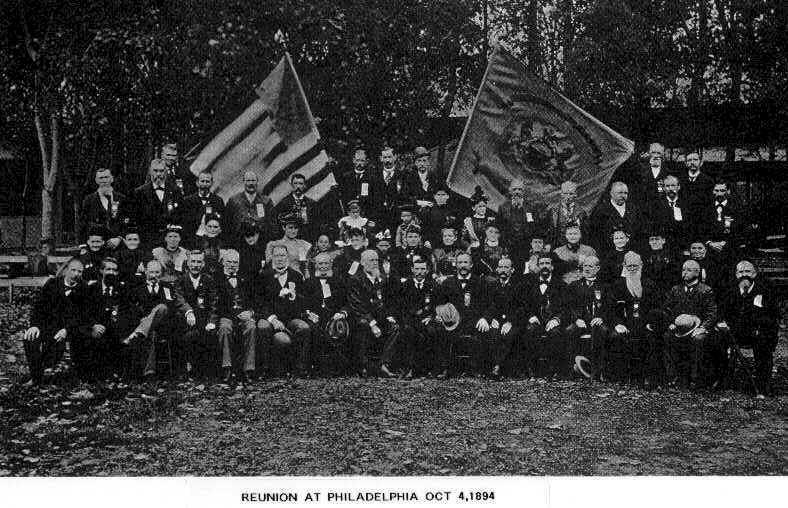 Berks County would provide the soldiers of Companies A, B, and H. Philadelphia volunteers would compose the remaining seven companies. As is and was the custom in the military, there was no company J, and company designations otherwise went sequentially from A to K. This practice is borrowed from the British Army and is intended to reduce the confusion caused by mistaking J and I on handwritten orders. Four years later, but 95 of the original 1000 men of the 88th were present to be mustered out of service. battle during the War of the Rebellion. 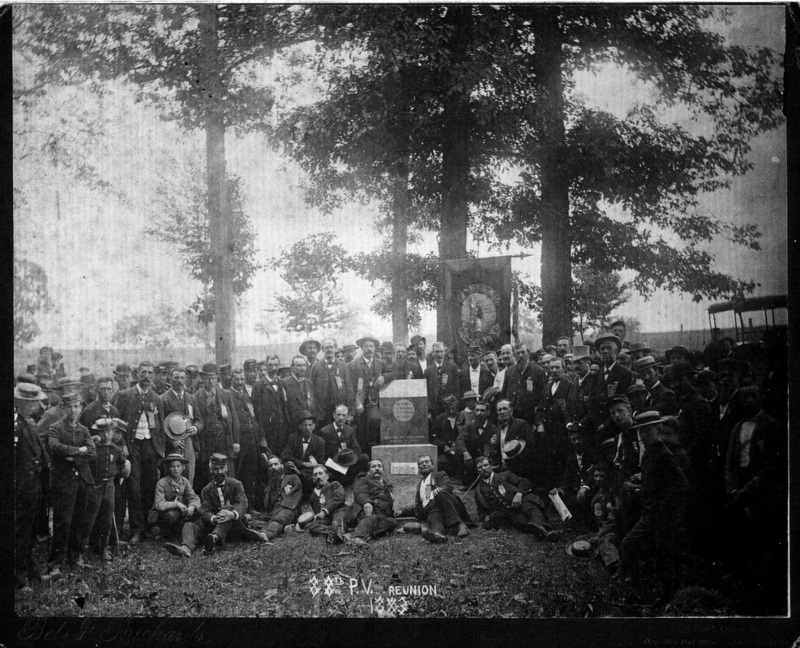 In the address of Lt. Col. George E. Wagner at the dedication of the Eighty-Eigth Monument on Oak Ridge at Gettysburg, Pennsylvania, Wagner writes in part: Comrades of the Eighty-eighth Regiment and fellow-citizens:—The regiment in whose memory we are assembled on this occasion was recruited by Colonel George P. McLean, and was originally called the Cameron Light Guard, in honor of the Hon. Simon Cameron, then Secretary of War; it was afterwards known as the Eighty-eighth Regiment Infantry Pennsylvania Volunteers. It was composed of seven companies from Philadelphia and three from Reading, In all about 1,000 men. Recruited in September, 1861, re-enlisted in January, 1864, and mustered out of service June 30, 1865, having served well and faithfully for a period of three years and ten months. During its term of service there were inscribed upon its rolls the names of about 2,050 officers and enlisted men. Of the original complement of officers, field, staff and line of thirty-eight, but two remained at muster out, Colonel Louis Wagner and Lieutenant-Colonel Edmund A. Mass, both of whom originally entered the regiment as first lieutenants; and of the nearly 1,000 enlisted men mustered into service in 1861, but ninety-three were present with their commands at muster-out in 1865. Thirty-six of the original officers and more than nine hundred of the men originally enlisted had meanwhile succumbed to wounds or disease; those who had not yielded up their lives to rebel bullets or to the diseases incident to a soldier's life, had been discharged because of physical disability incurred in the long and arduous services they had performed. Today we, but a small remnant of that glorious old regiment, are assembled upon one of the many battlefields on which it did and dared, and it is a fitting time to at least name the many others upon which it fought and bled. Receiving our baptism of fire on Cedar Mountain, under Pope, came rapidly Rappahannock Station, Thoroughfare Gap, Second Bull Run, Chantilly, Antietam, Fredericksburg, Chancellorsville, Gettysburg, Mine Run, Wilderness, Spotsylvania, North Anna, Totopotomoy, Bethesda Church, Cold Harbor, Petersburg, Weldon Railroad, Dabney's Mill, Boydton Road, Five Forks and, lastly, The crowning victory at Appomattox. 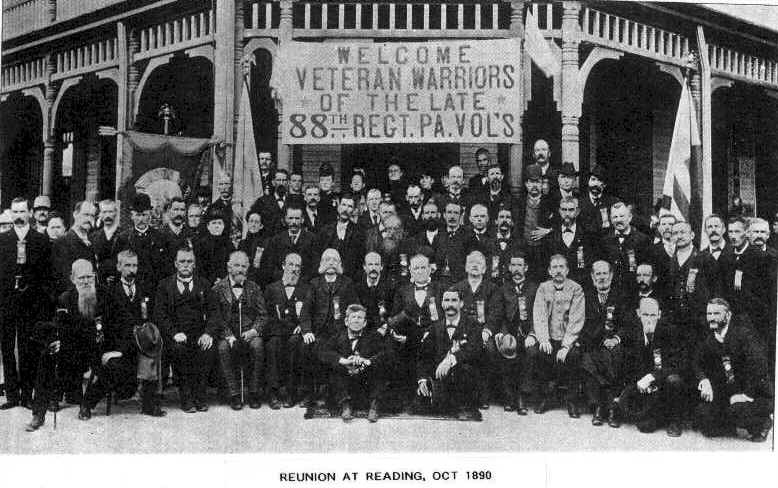 Eighty-Eighth Pennsylvania Volunteer Infantry Regiment to join our Descendants Group. It's FREE and a chance to learn more about and to honor your ancestors!